Do you want to add some pizzazz to your company’s Facebook page? If you answered yes, you should try Involver! 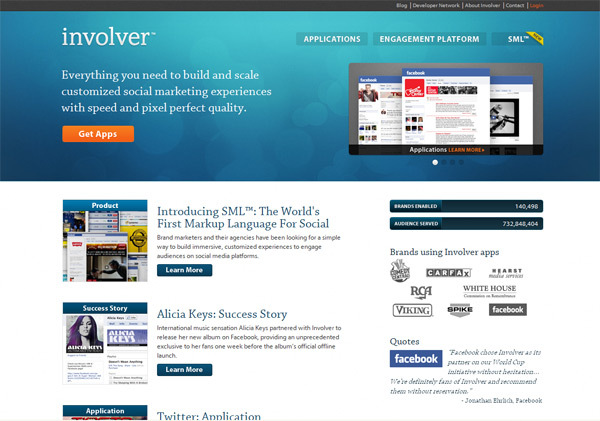 Involver is a great tool that allows you to integrate a variety of different social networks to your Facebook page. With Involver, you can add your YouTube channel videos, Twitter feed, RSS and much more! We are currently using involver on our Facebook page, which now includes our Twitter and RSS feeds. Involver made it so easy to do, we’re thinking of using some of their other features. We signed up for an account, installed the apps we wanted to use, and that was it! We definitely liked how easy it was to use. If you’re looking to customize your own Facebook page, we highly recommend the tools Involver offers!